Part of our Pull-up Bracket System which allows for continuous climb monkey bars as long as desired on wood stud, block, or concrete walls. 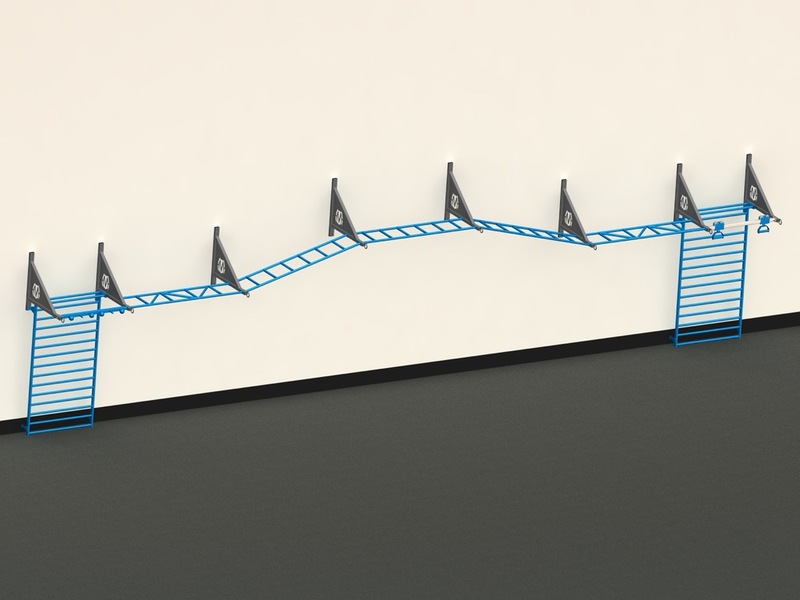 We now offer two 80" length monkey bar options including the Z-pattern or traditional Monkey bar design. Our Pull-up Bracket System provides a dedicated eye-loop at each end for suspension trainers or resistance bands. Heavy duty design with laser cut logo support gusset provides strength to allow for 40" spacing from wall makes it ideal to minimize wall damage by users. Inverted brackets with Monkey bars that elevate up and down in the center makes for fun challenge. Stall bars, Globe grip, and Sliding Pull-up added at each end for even more variety in bodyweight exercises. Find out which configuration works for you, shop our Pull-Up Bracket Systems.